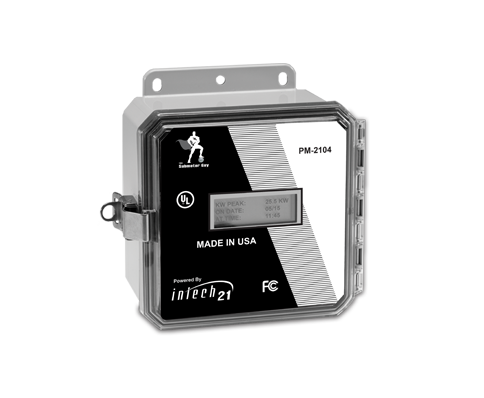 The Demand Series Power Meter, powered by Intech 21, provides a low-cost, easily installed meter for kWh/kW Demand monitoring applications. The Demand Series meter installs easily in new or retrofit applications for tenant billing, cost allocation and energy management. The meter includes the appropriate number of CTs for your single- and three-phase applications and are available with either solid-core CTs for new work installations or split-core CTs for retrofit projects. Auto-ranging voltage 120/277V, 120/208V or 277/480V single and three-phase applications. Neutral required. New work style meters include appropriate number of solid-core CTs. Old work style meters include appropriate number of split-core CTs.